Anyone who reads this blog knows that I am a Mecca Cosmetica devotee, worshipping at the hallowed altar of the Ponsonby Road store any chance I get. I always leave feeling a renewed sense of excitement about all things beauty, mainly due to the treats that lie within and the enthusiasm and talent of the gorgeous staff. Needless to say, I was pretty excited to hear that you can now take home a piece of Mecca Cosmetica in the form of a series of beautifully fragranced candles, designed by the Mecca Cosmetica store teams specifically for their VIP customers. All 33 Mecca stores voted for the most popular fragrance that represented their own particular store, location and customers. Stamped with each store’s postcode, their candle is a reflection of where they work every day and the personality of the teams who work in them. 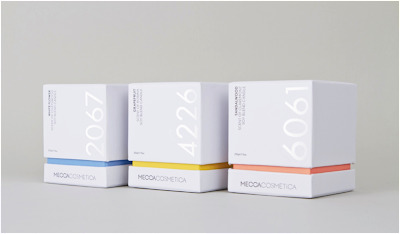 In New Zealand, the fragrance chosen for the Ballantynes, Ponsonby and Newmarket Mecca Cosmetica stores was Sandalwood; a woody and warm scent designed to embody all things spicy, rich and romantic. The fragrance chosen for the Kirkcaldie and Stains Mecca Cosmetica store was Grapefruit; a vibrant and energising scent that keeps things fresh, upbeat and fruity. Available right now, the candles are made from a long-burning soy wax blend with a pure cotton wick, so you know that extra special Mecca Cosmetica joy will last and last. Sandalwood is one of my favourite fragrances.